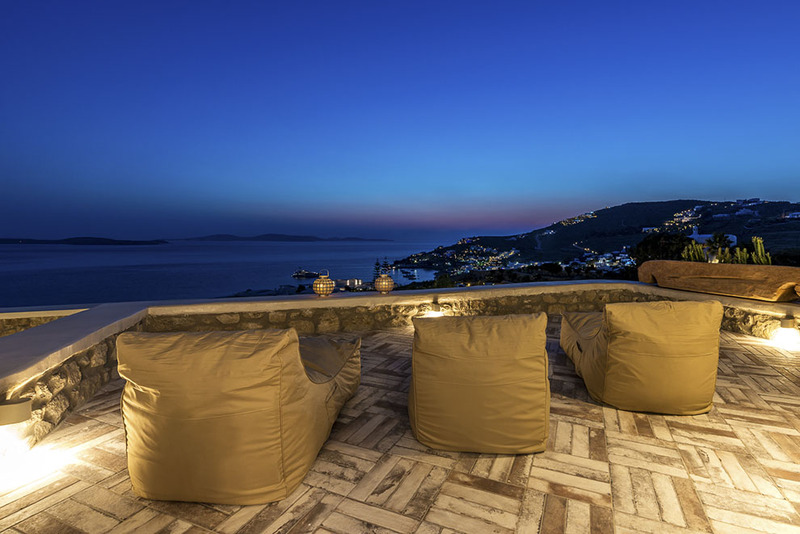 The luxury Villa Divine is located at Saint John area, which is one of the most prestigious and privileged areas. 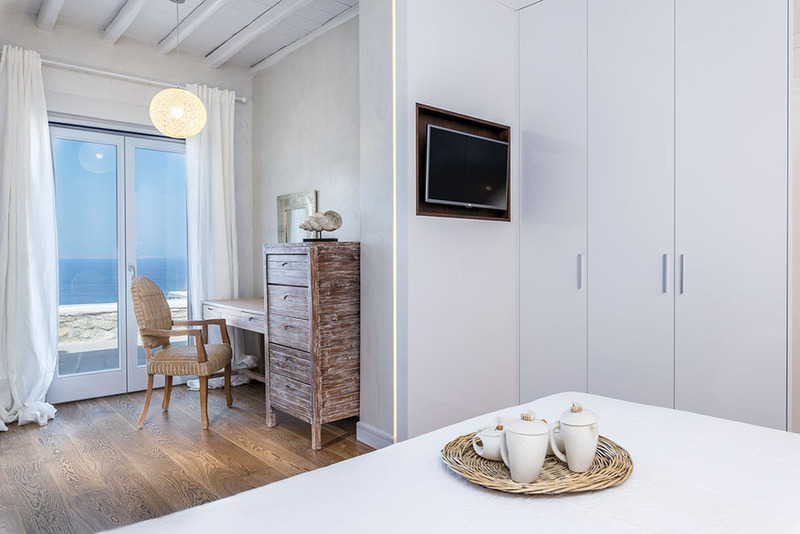 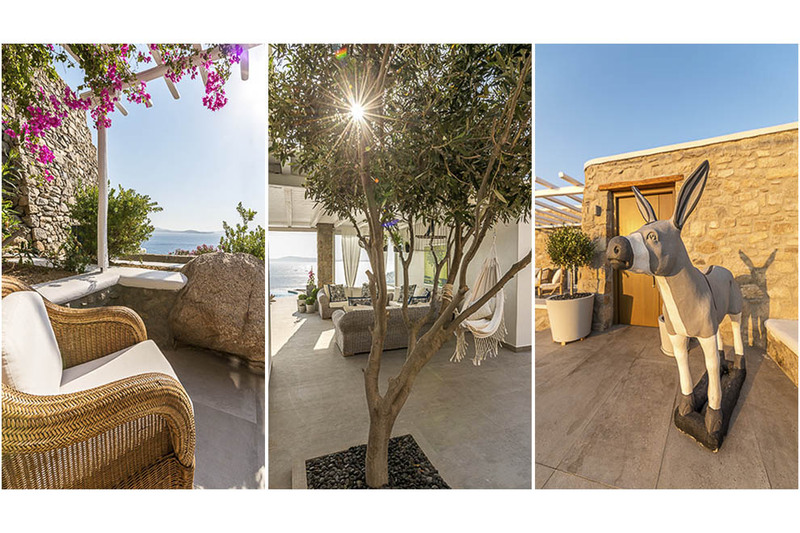 Situated at the southern part of the island, enjoys spectacular view of the mythic Aegean Sea and the famous ancient Delos island. 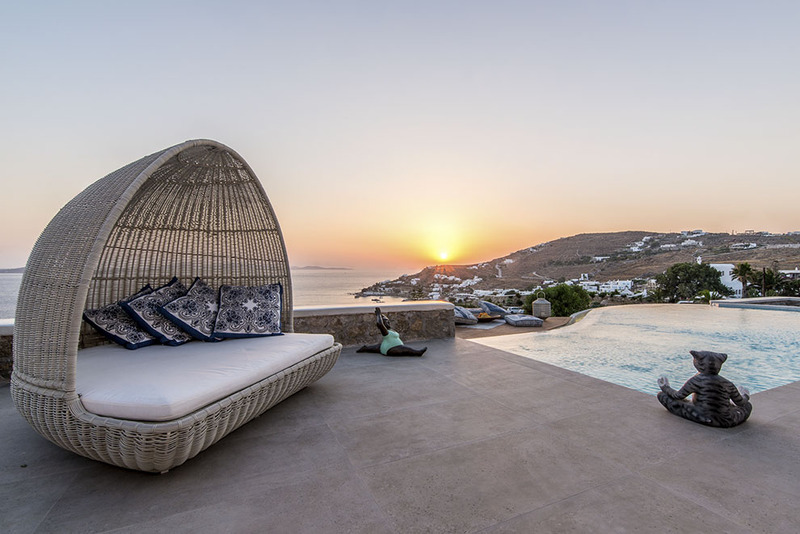 Saint John area is also well-known for its magnificent sunsets and totally wind protected, while is 3 minutes driving distance to cosmopolitan Mykonos town. 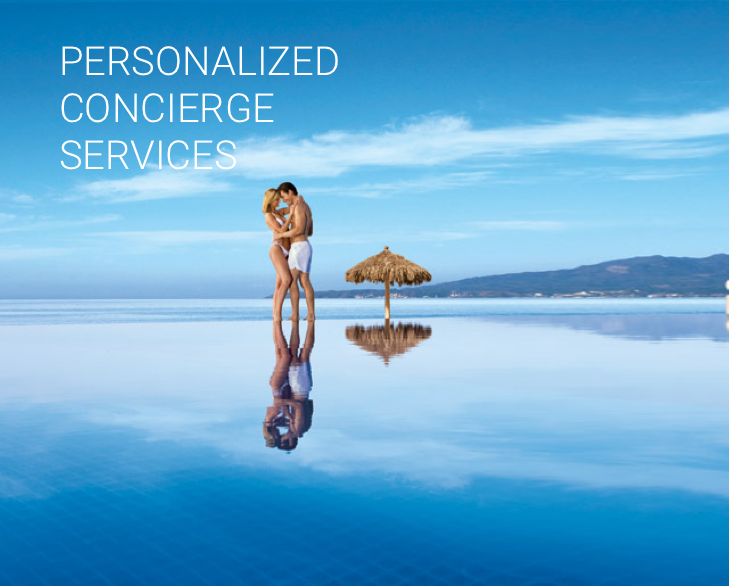 At the exterior grounds, the huge infinity pool stands out, offering exceptional moments of luxury. 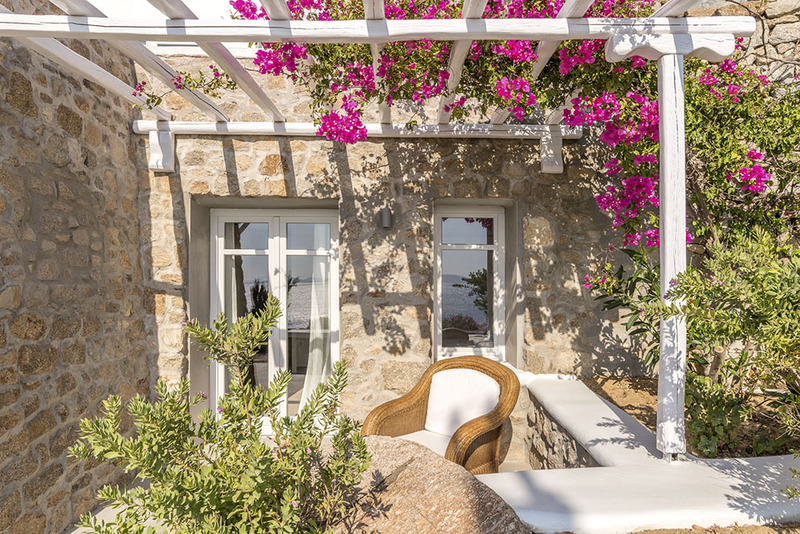 A beautiful garden, numerous wind-protected cozy seating and dining areas with pergolas, modern sun beds and built-in BBQ area surround the magical scene, creating an ideal environment of relaxation for day and night. 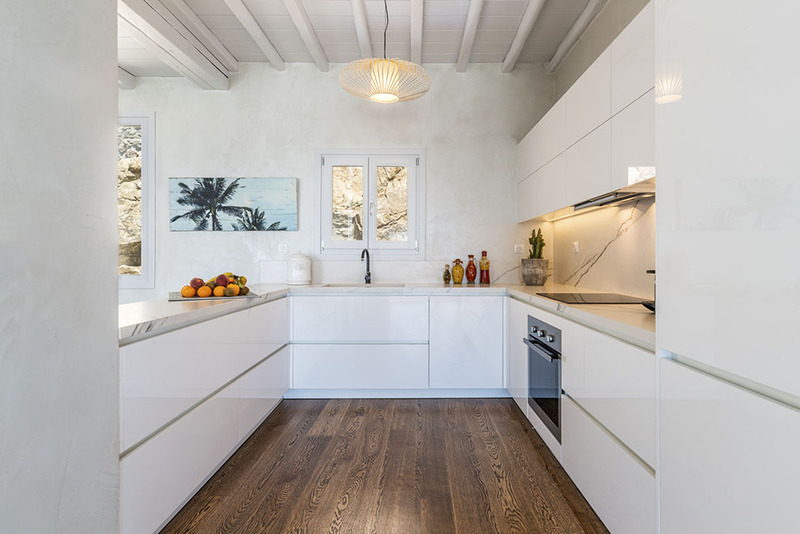 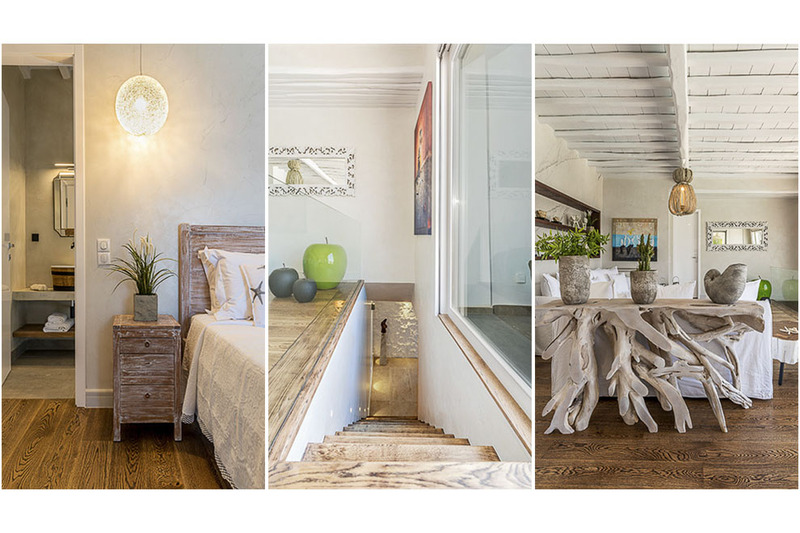 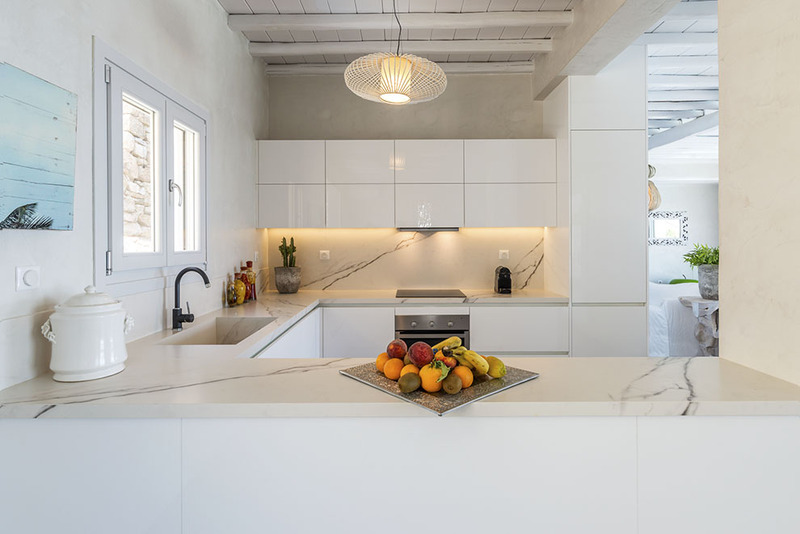 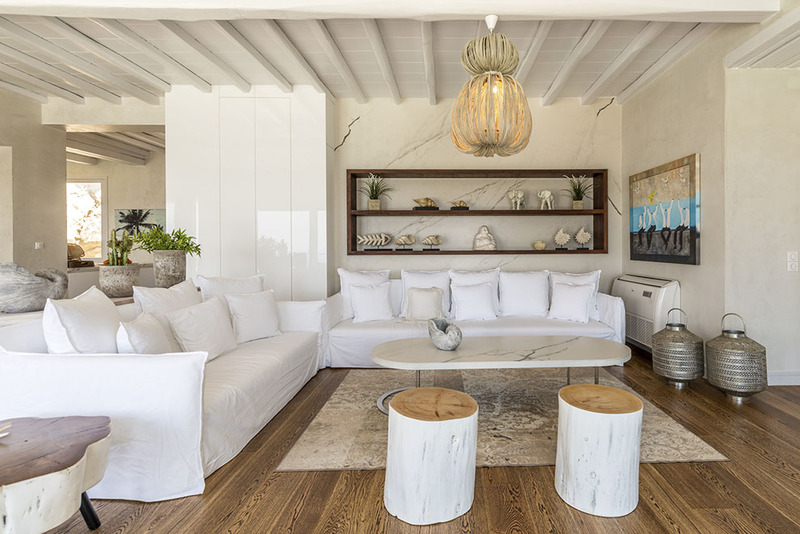 Inside the villa, all the spaces characterized by white minimalism. 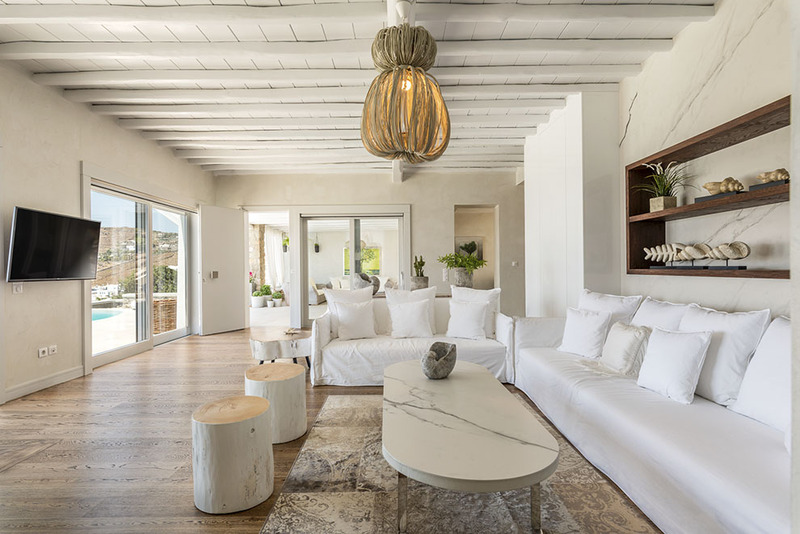 Guests are impressed by the classy modern furnishing with elegant details, unique pieces and artefacts. 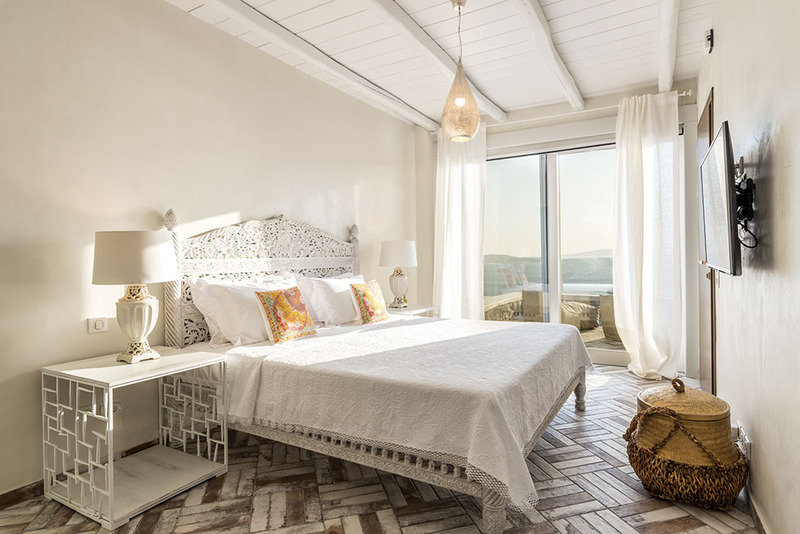 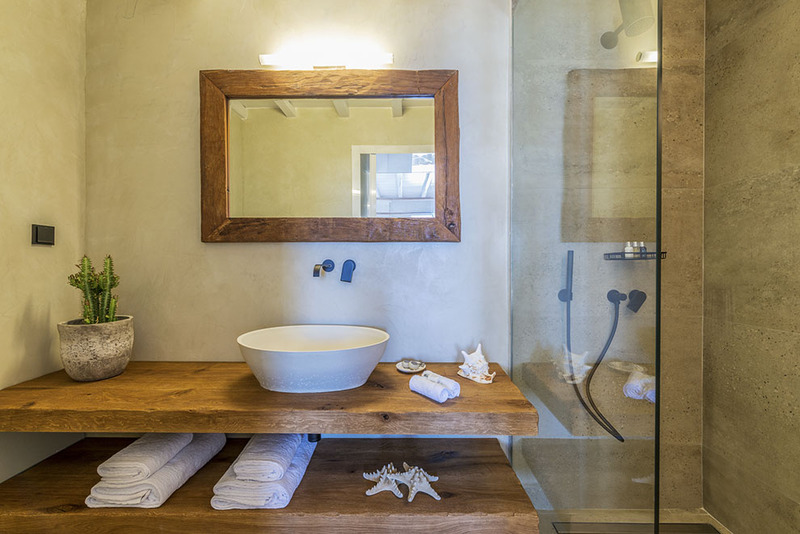 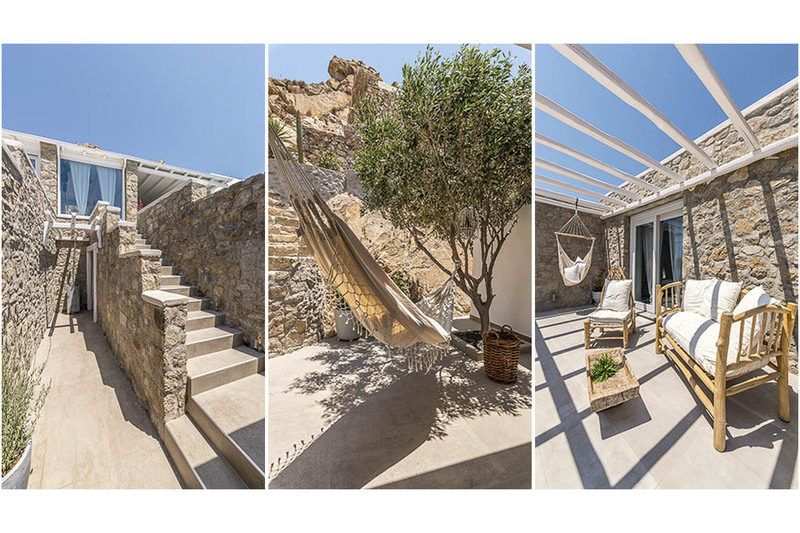 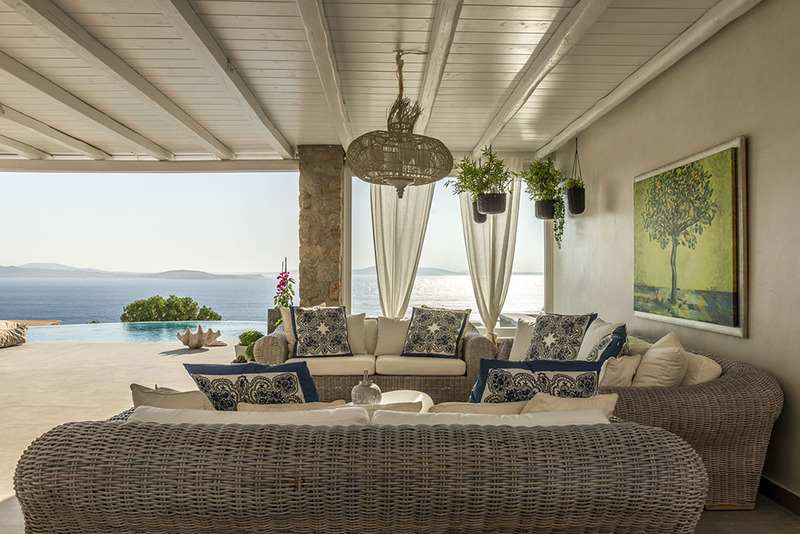 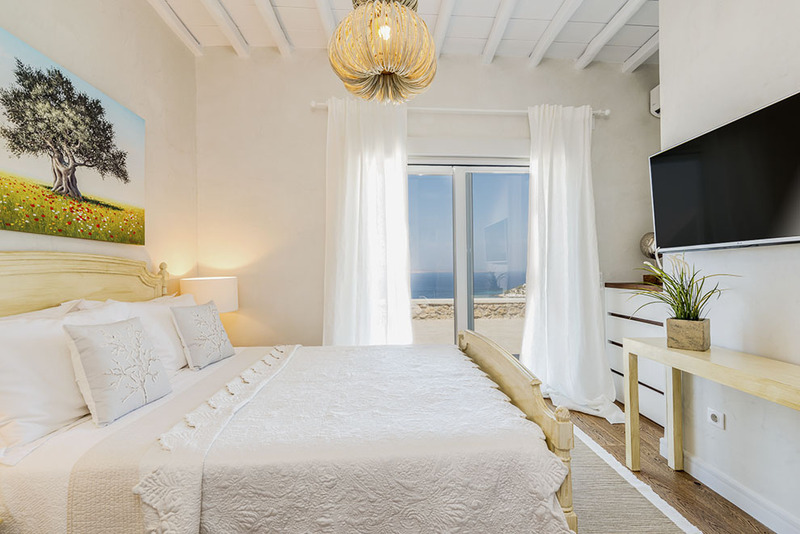 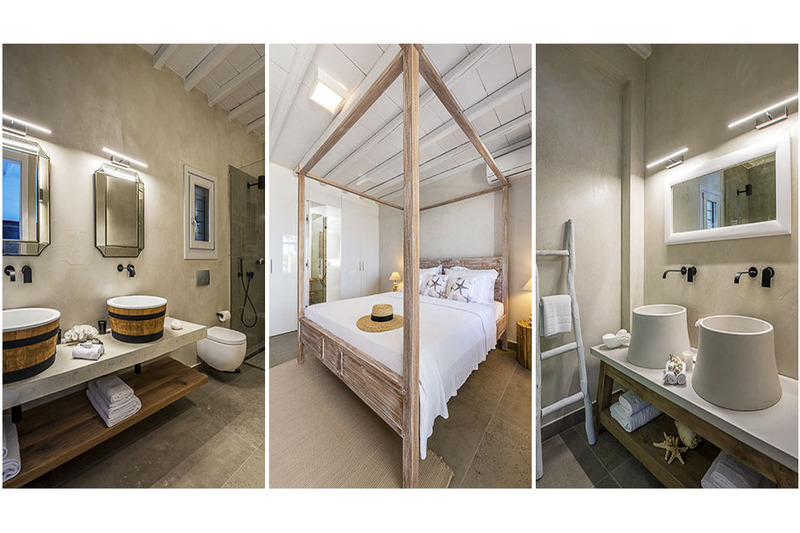 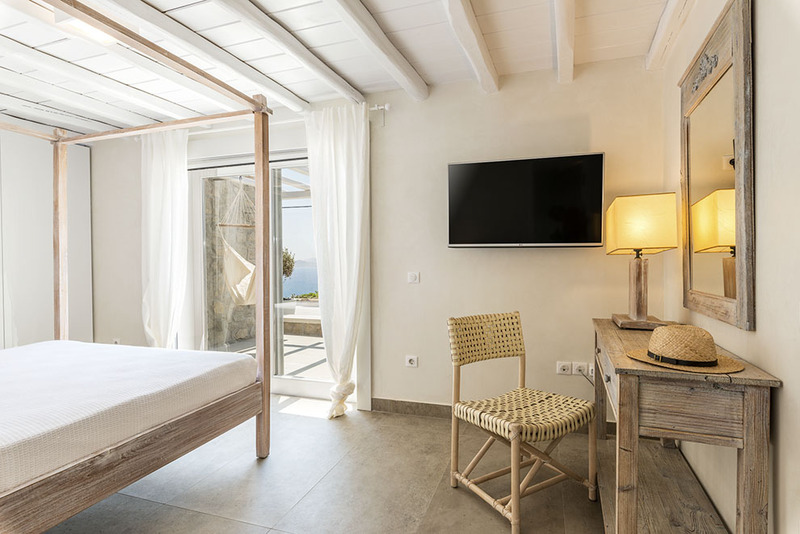 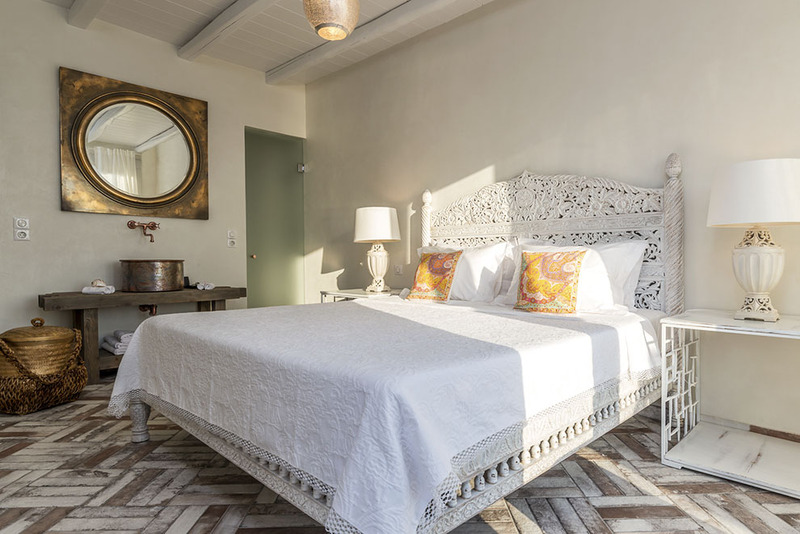 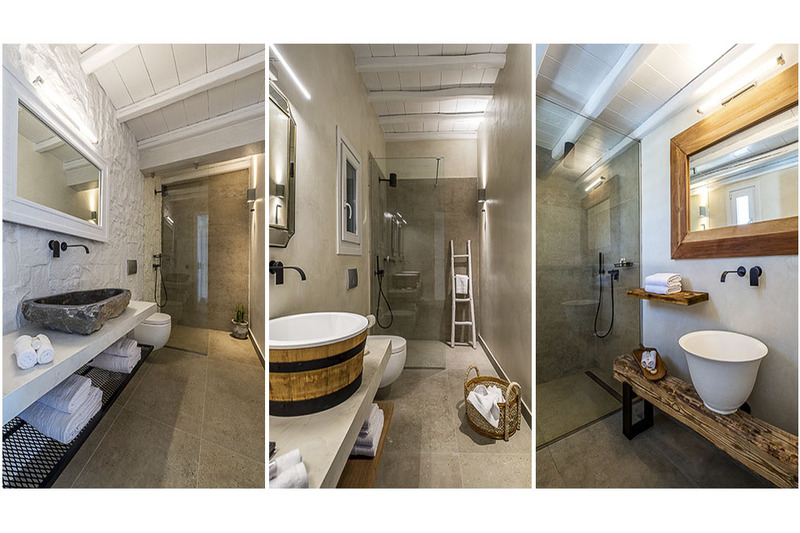 This amazing villa in Mykonos is totally renovated and composed of a large living room, full of cozy corners and 6 spacious master bedrooms and their bathrooms. 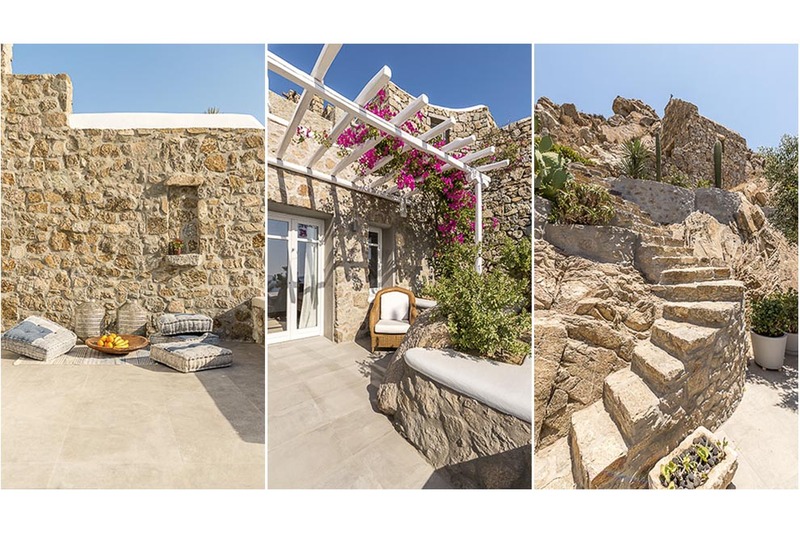 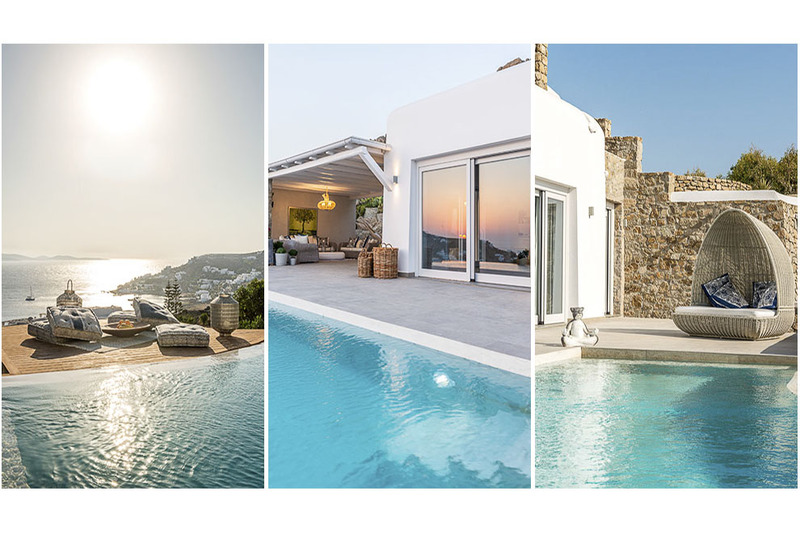 This extraordinary Mykonos villa is an experience in aesthetics and in combination with the spectacular view, the walking distance to Saint John beach and the very close distance to Mykonos town, makes it attractive.